I get annoyed by green boxes (or worse, blue fronwies) in my sea of yellow smileys on the map. So every now and then I have a blitz and try to clear them up. Today was such a day! 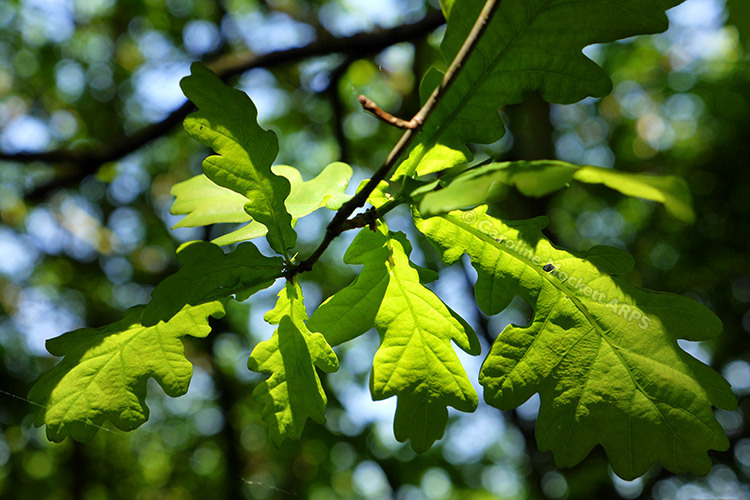 My first find was avenging a DNF on Danbury Common from a few days ago. Grand. 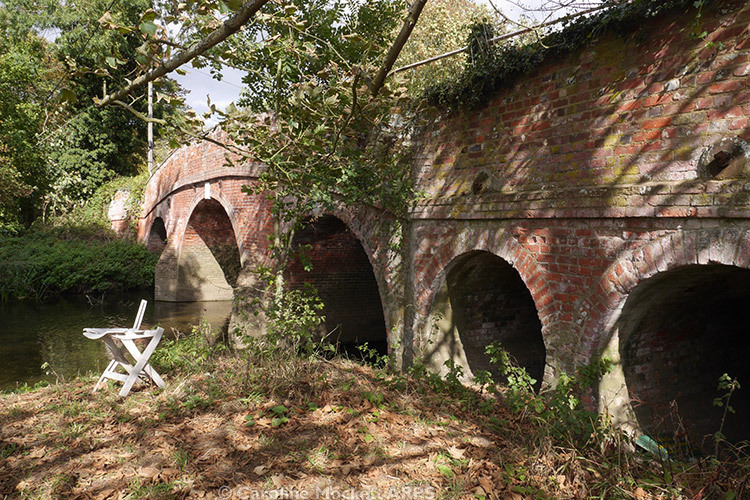 Then on to Frederick’s Green for a hide which was accessed by walking through the arches and tunnels of this hump backed bridge. What a great location. Another CNL (Could Not Look) avenged from a few weeks ago in Wickham Bishops, then it was on to Witham to pick up a trio of loose ends around the town. 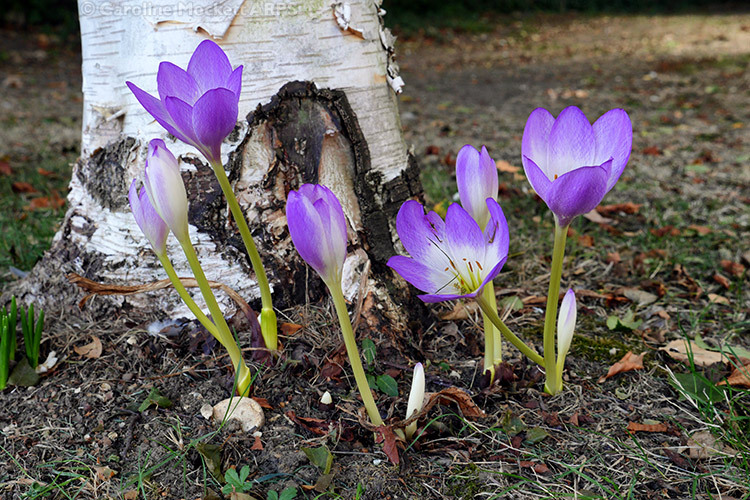 The crocuses are looking good. 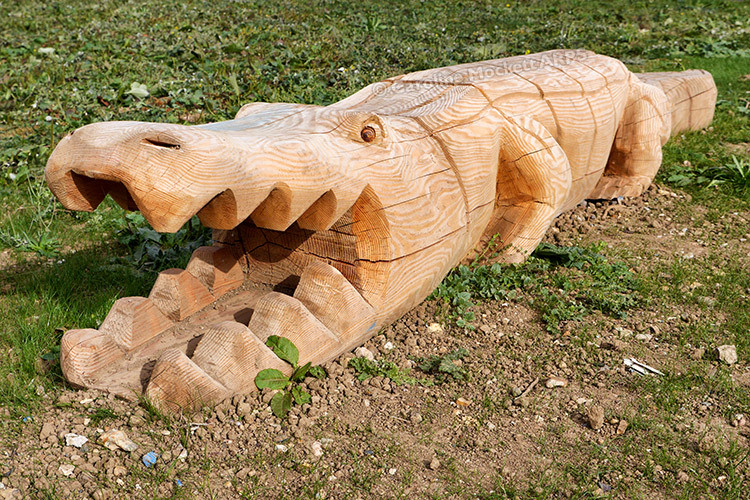 I also spotted this fine fellow, mellowing out on a new kiddies’ playground. I continued on to The Old Fella, who was harbouring a nice little box with a few goodies inside. A half dozen new smileys today, that will do! Grinning Buddha is renowned locally for posing some fiendish puzzles. Recursion was just another, which popped onto my map in mid-March. I looked at the cache page soon after it was first published and didn’t have a clue. It’s been sitting there, taunting me, ever since. co-ordinates came from an unexpected source. But I vowed not to go and look for it until the tricksy monkey was off my back and I had solved it myself! Trying to avoid some work yesterday, I had another look at it. I scribbled a few things in my notebook and got a plausible formula. I messaged the CO who kindly confirmed that I had the right thing I needed to solve the problem. He also mentioned that Win7’s calculator in Scientific mode was up to the job of crunching the numbers. Ah! I had upgraded to Win10 just yesterday, would it still be so? More scribbling, rationalising and plugging numbers into the formula followed. Then an undexpected thing happened – aha, that simplifies things a bit! And yes, Win10’s calculator was just as happy to deal with numbers as long as your arm. Eventually the penny dropped and out popped a rather satisfying figure, which made the checker happy and conveniently agreed with my previous info. So today it was time to go and look for it. No hint, but I guess that’s not a problem. Once I was at GZ, the GPS was suggesting somewhere else close by, but a thing struck me as being a little incongruous. On further investigation, it did indeed reveal something which appeared to be rather recursive. Hurrah! I won’t post a spoiler pic, so that everyone else can have as much fun trying to solve it! 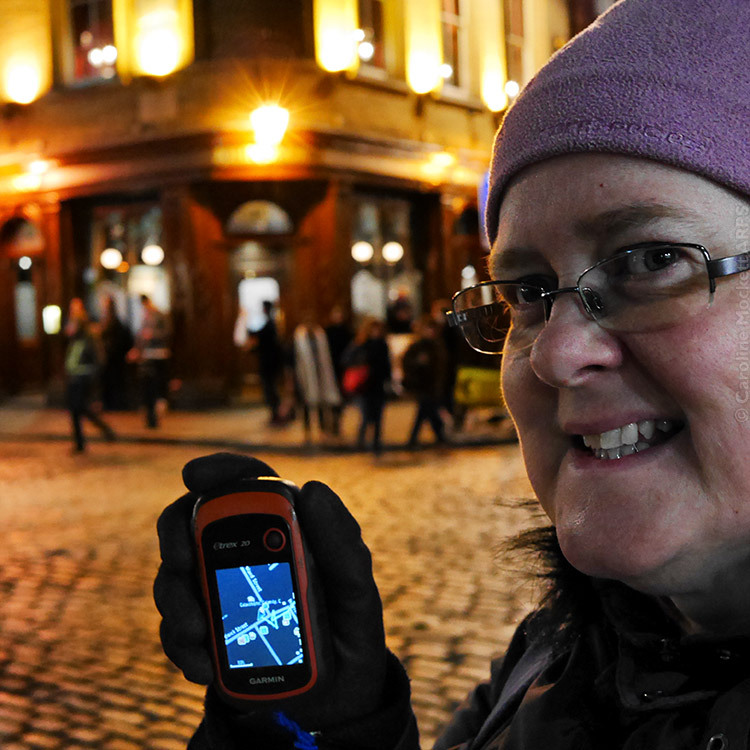 This evening’s after-work adventure was to look for a trio of caches around Soho. The first was a puzzle just a stone’s throw from Tottenham Court Road which I had solved a couple of days ago, and thankfully a quick pick up. 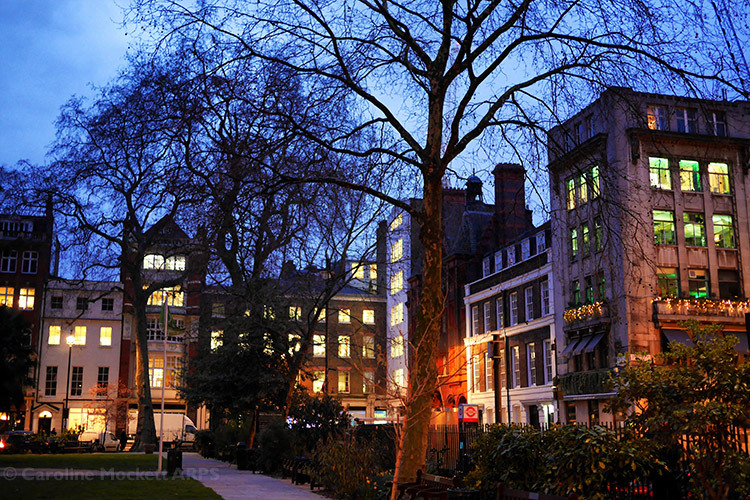 Next stop was Soho Square itself, where I did find the cache eventually, it had walked slightly and I had to wait for a van to move on before searching a wider area. I had one DNF a bit further along my route, but thankfully finished up with a find at the Catastrophe, Calamity, Cataclysm Part 4, an old virtual which also required the usual selfie as part of the proof. So here’s my gurning mug. 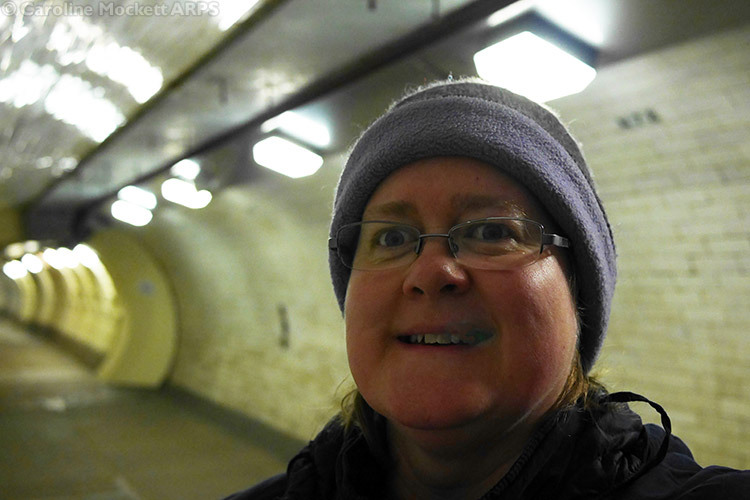 The first Virtual of the day was in Greenwich Foot Tunnel, SUBTERRANEAN SUB-AQUA (Isle of Dogs/Greenwich). The event was next, organised by krogulec, (+Amelka), First Caching In London. It was a nice little international gathering with visitors from Poland, Czech Republic, Germand and Italy, as well as a few locals. The Whereigo, Church Micro 3690…Greenwich-St Alfege, was a bit of a challenge as the cartridge should have been updated with a slightly different location hint, but thankfully the CO was quick to reply to my message and I found it soon after that. The Whereigo was also an excellent third type of CM for my mini 7-day streak. I found a couple of trads too, the first was in a murky Isle of Dogs. 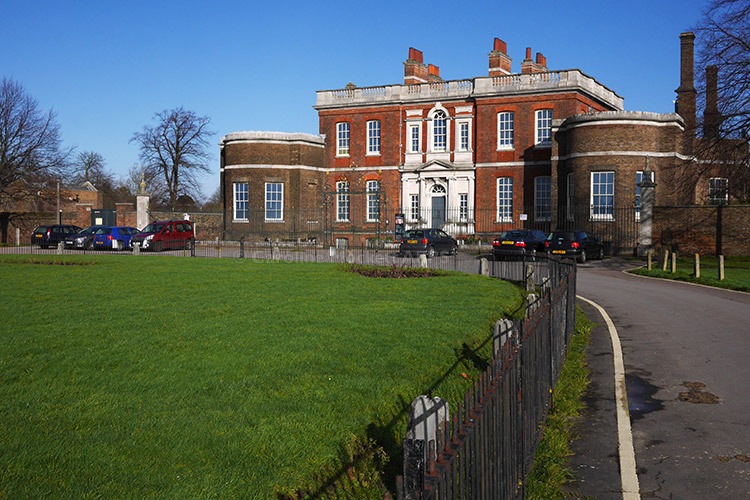 By the time I got to Blackheath, the sun had come out as I found Ranger’s House. 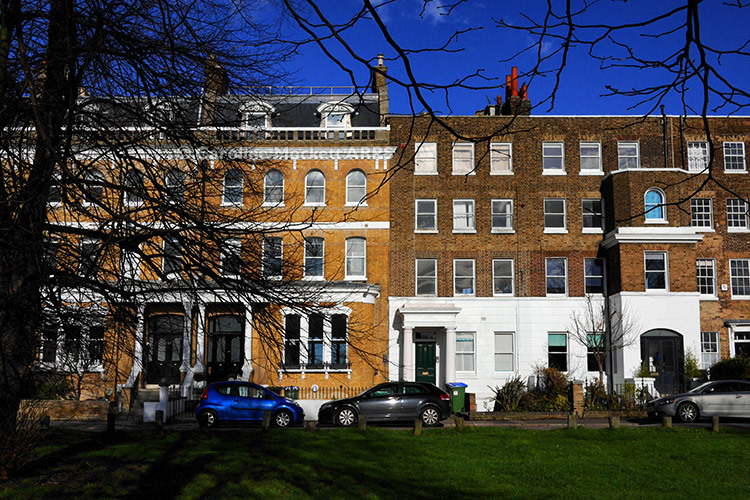 I picked up three Puzzle caches in Blackheath, this lovely square was the location of Icons Golden Oldies Challenge. 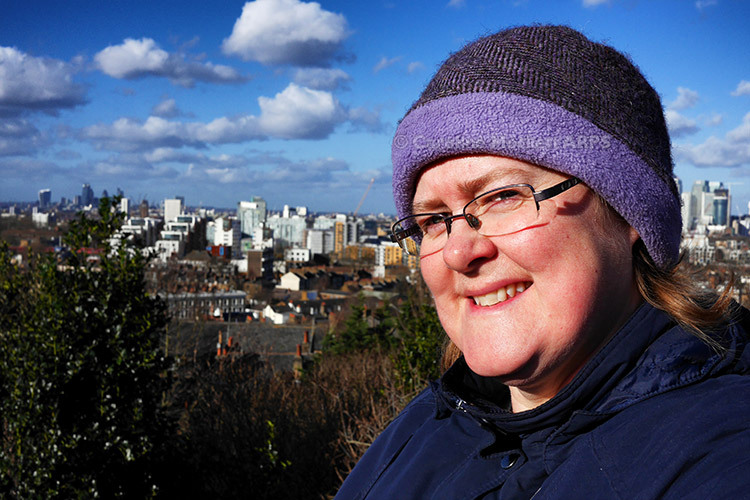 The Earth Cache I had targeted was on Point Hill, overlooking the city, one of the Battle of Britain Earthcaches. Next stop was the Multi at Church Micro 8128…Blackheath – Ascension, with a surprising final GZ guarded by a fake crow! The final type on my list was the Letterbox Church Micro 7456. .. Blackfriars-St Andrew near St. Paul’s. Another surprising final GZ, but I won’t give that away, it would spoil the surprise. Having completed that challenge, I also wanted to make it 5 virtual finds today, for another challenge cache. I’d found two in Greenwich, two around Tower Bridge and then struck out at my final target – at 4:30pm on a Saturday afternoon, I couldn’t get anywhere near the location! 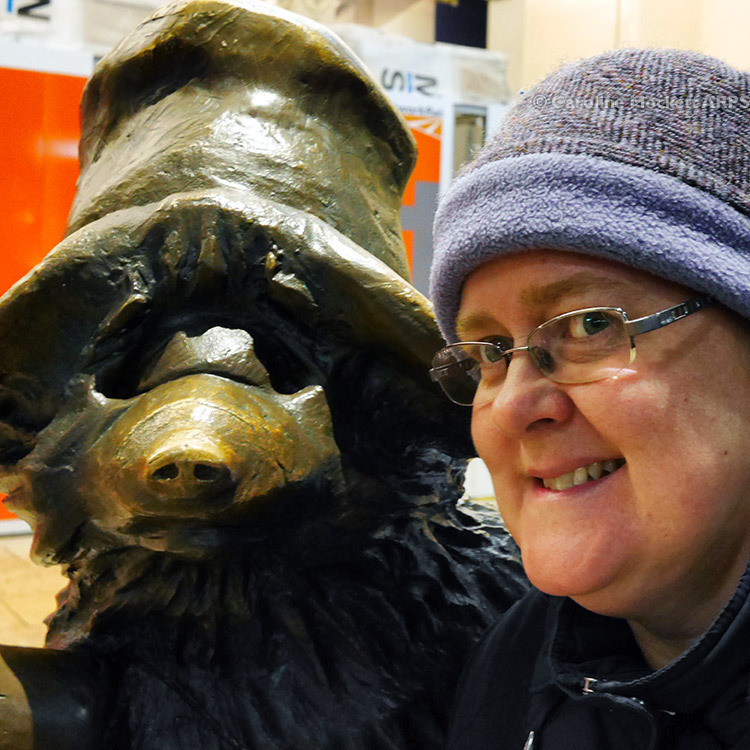 So, despite the distance, I decided Plan B was in order – I got on the Circle Line from Tower Hill to Paddington and quickly found Paddington Dare. Phew! 5 in the bag. However, the day wasn’t without cost – I felt like I was coming down with a fluey lurgy by the time I got to Paddington, so some hastily purchased drugs from Boots on the platform gave me the strength to get home, where I collapsed on the sofa! I’ve had my eye on the Cool Cuban Spirit circuit in Kent by jazzyjessups for a while. I think I solved all 60 main puzzles well before Christmas, but haven’t had the time to come and pick them up yet. And a couple of days ago at the Essex Meet, I mentioned the series to Kitty!! and Mr Crow who were very eager to join me on my proposed attack on the caches today. Kitty!! spent most of yesterday solving the puzzles and after a few late night emails we finally had a set of co-ords we both agreed on. Having met at Kitty’s house, we travelled to Kent in one car, parked up and set off along the track. To begin with, the going was pretty good – the ground was still frozen in many places and we made good time on the first section. The route was mainly micros, but occasionally we were rewarded with a bigger box. We Found A Big One! 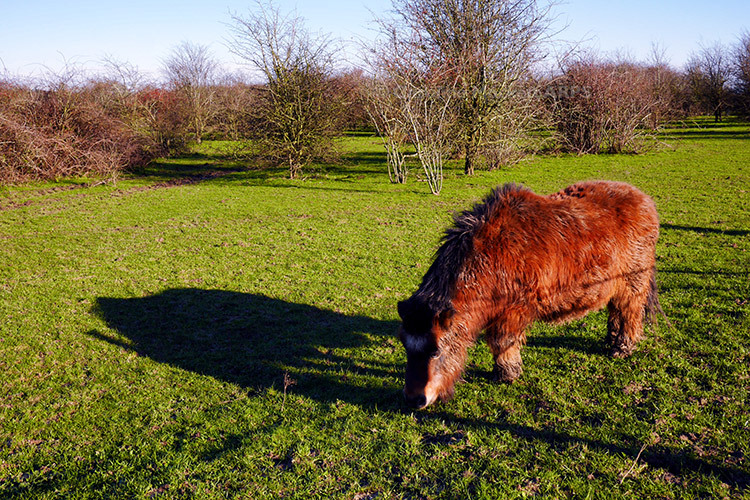 We met a few furry four-legged friends along the way – this was the cutest (and shortest!). 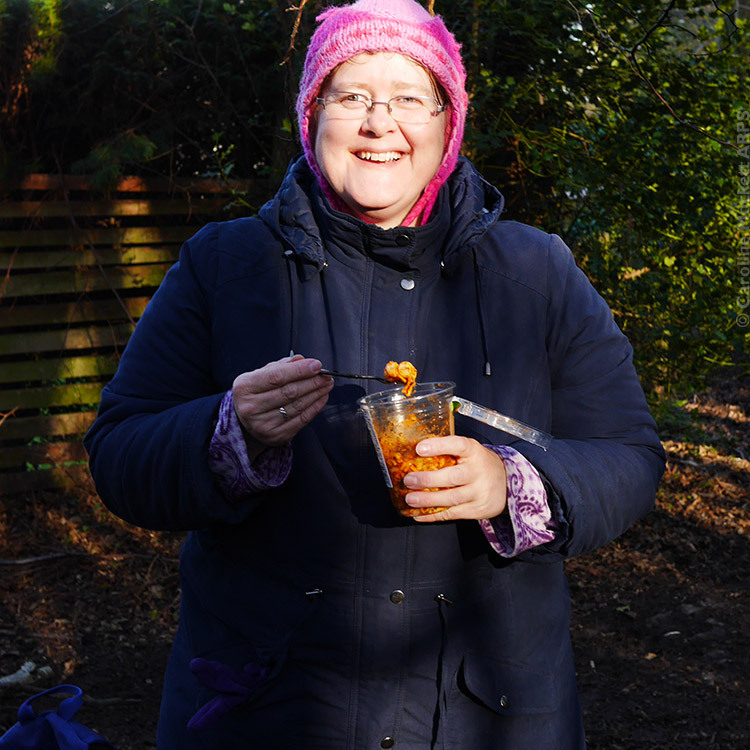 We had each brought a packed lunch, and just after finding Number 31, we stopped and had a bite to eat in the woods. 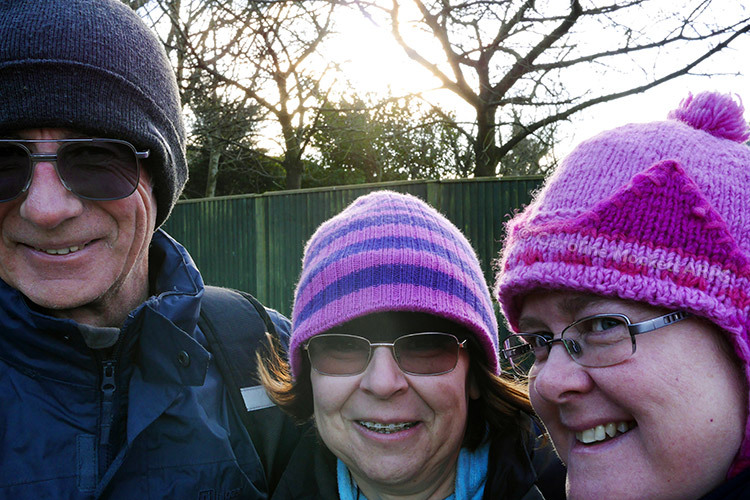 I was very glad of my silly woollen hat at times – it was very sunny all day but perishing cold! It was a great series to do, with only 1 cache which needed replacing (which we did with the CO’s blesssing, meaning we had no DNF’s – hurrah!). 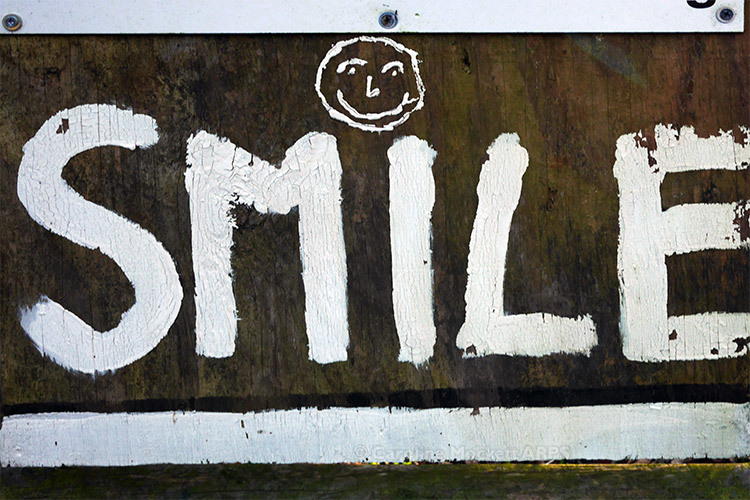 SMILE – You’ve Found Lots Of Smileys Today! 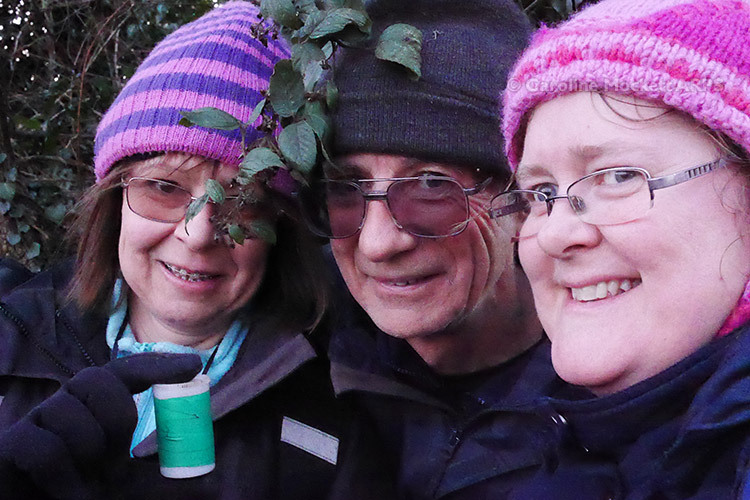 After 61 puzzles and a trad Church Micro thrown in along the way, we were really pleased to finally reach cache #63 for the day – the bonus cache! 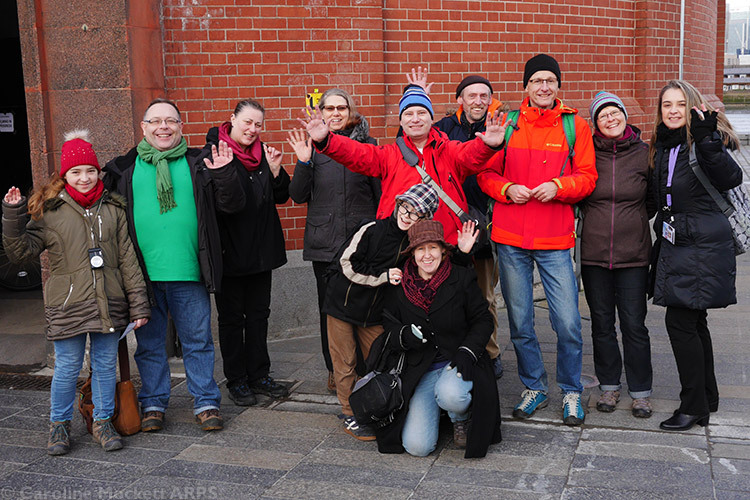 That makes my best day’s caching so far, and it was great fun to have company for the route. Job Done – At The Bonus! 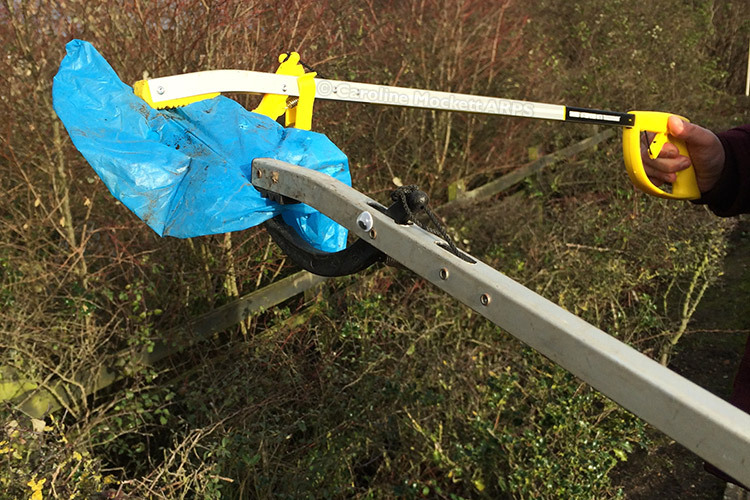 Day #167 – A Load Of Rubbish! 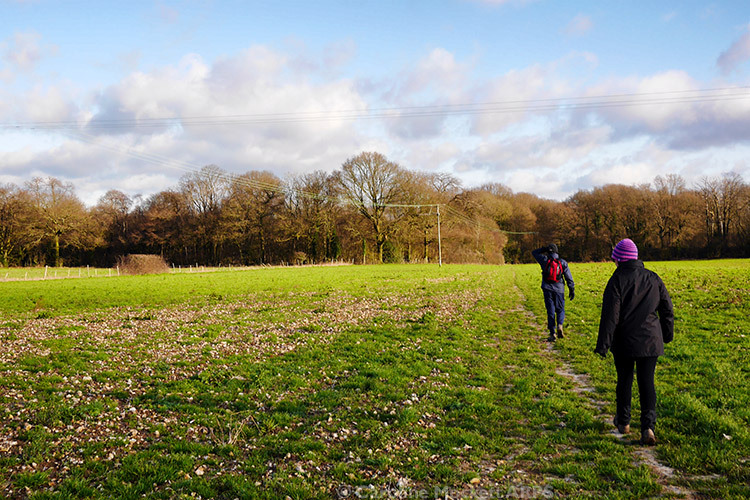 A few weeks ago I noticed a CITO event had been published for today, and since I needed another two to qualify me for two different challenge caches, I made a note to attend this one in Stowmarket. 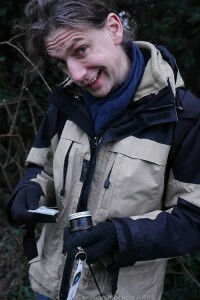 I also invited along my lapsed caching friend Leeky who lives in the town. Larry Fights With A Friend! 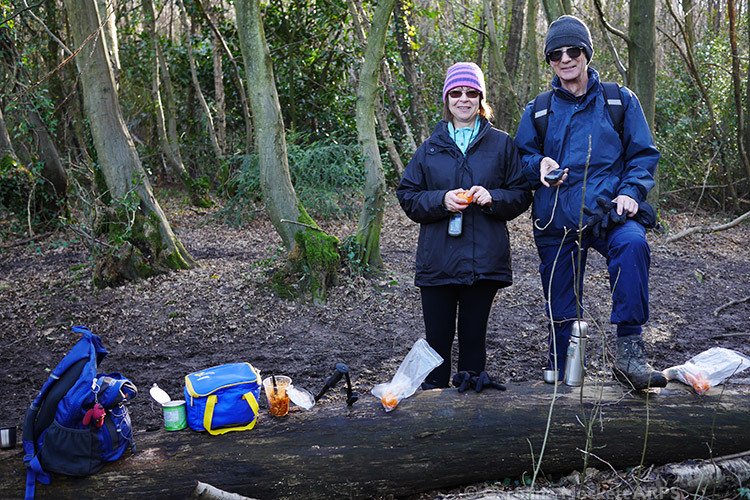 We collected a big bagful each, and had a nice natter while walking around the Cedars Park estate. 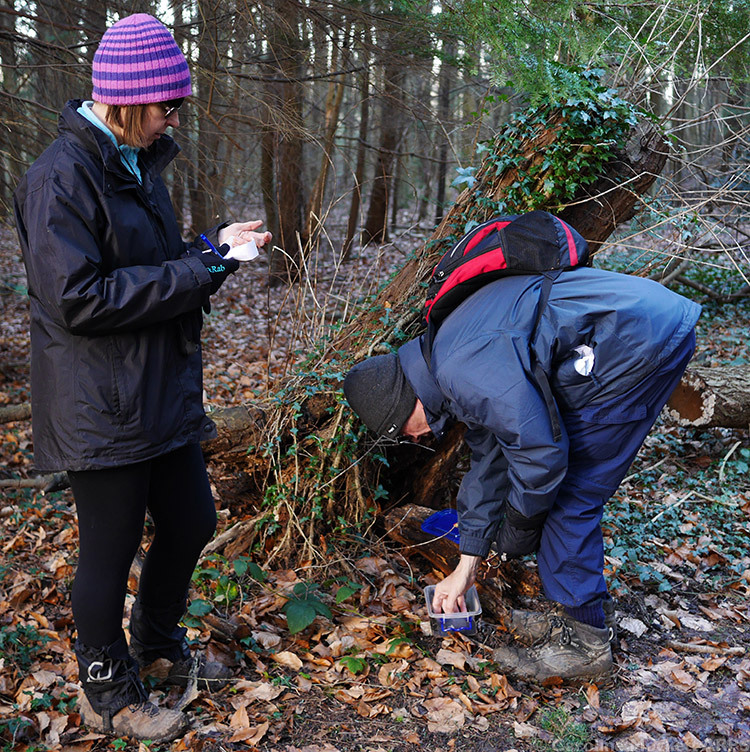 We also found three caches while we were out and about wombling. 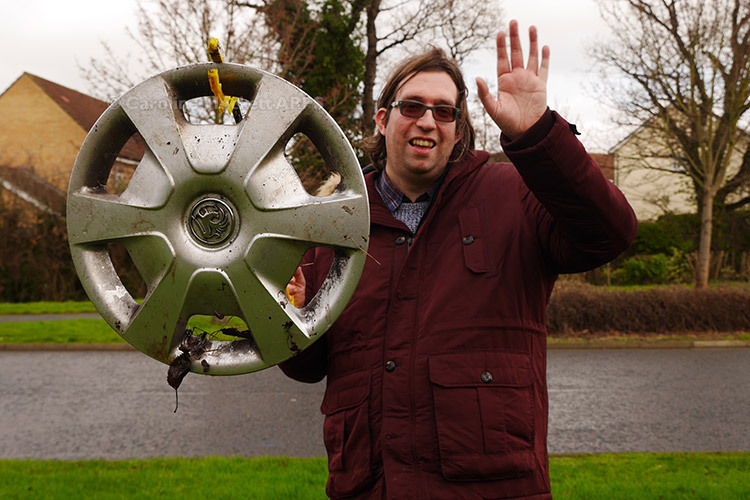 Leeky was pleased to have found a hubcap – better in the bin than littering in a hedge! We went for a rewarding lunch in ‘Spoons in the town (and found another couple of quick cache and dashes before the rain started). 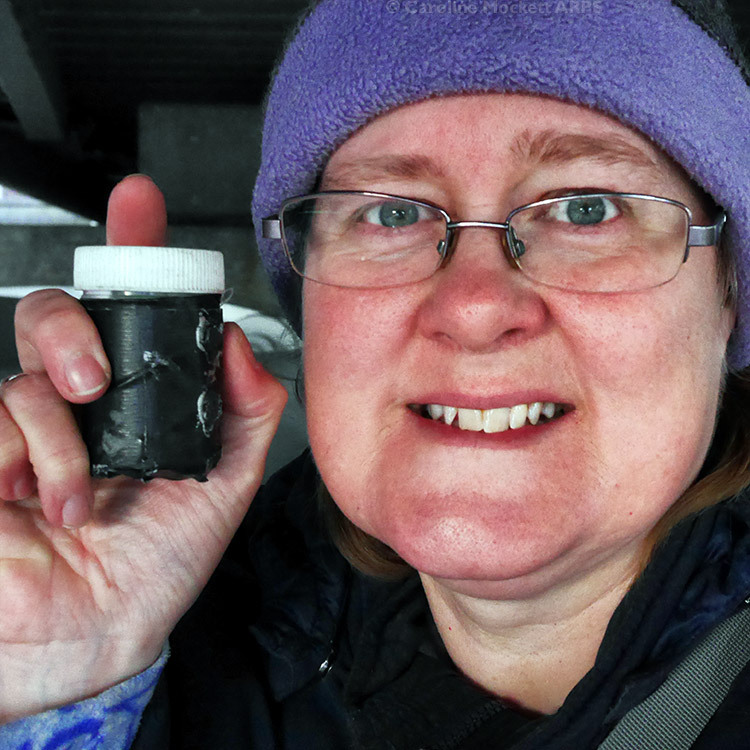 Leeky returned home but there was still some daylight left, so I picked up a few more caches in the area, including a puzzle which I had solved a few weeks ago in preparation for today’s visit. 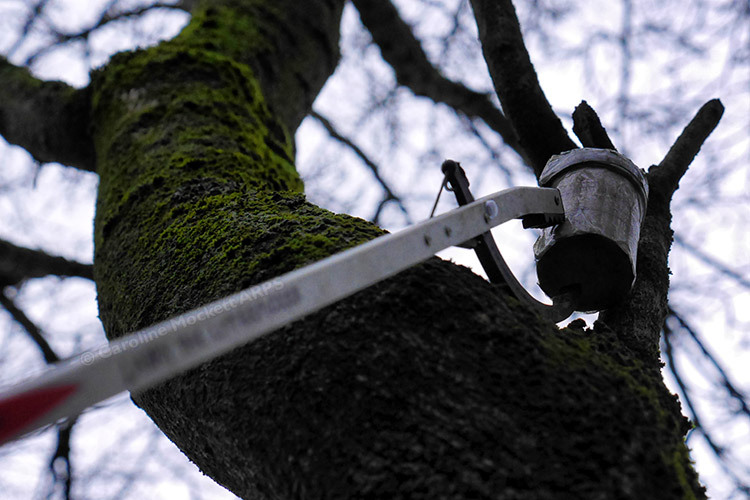 I was a bit worried by the Tree Climb attribute, but decided to go take a look anyway. Larry was a great help, just reaching the cache for me without my feet leaving the ground! 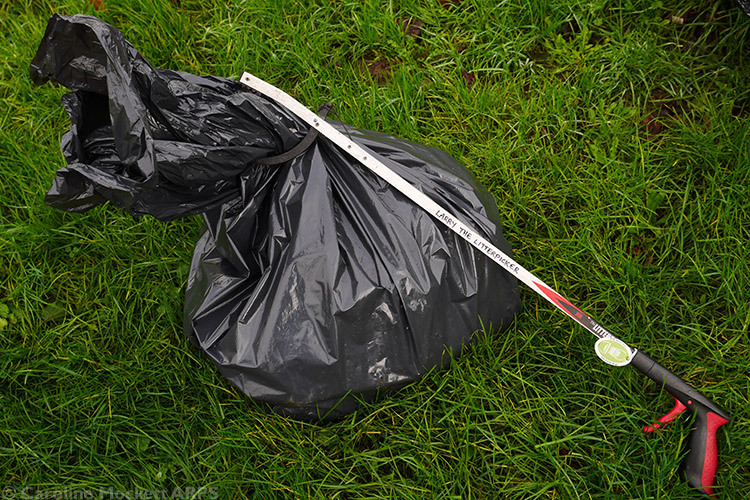 Hurrah for Litterpickers! 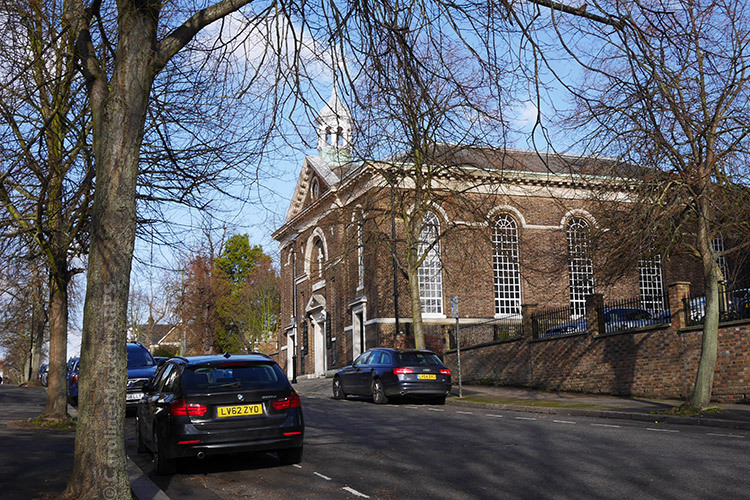 After a final two Church Micro finds in nearby Stowupland, I drove to Colchester to stay with Mum and Dad overnight, which will save time tomorrow when I go to Mistley for the first of BEASTMARSTA’s 2016 Flash Meets. Today’s outing was a damp afternoon in Basildon. 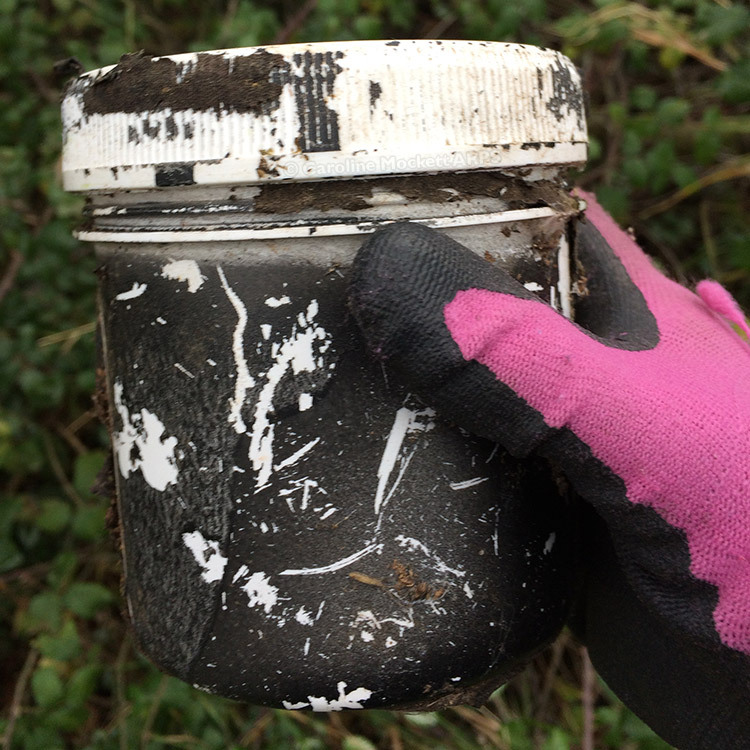 We had a couple of DNF’s at caches which almost certainly weren’t there. But we also managed two hides around Whitmore Park, the first success was a puzzle which hadn’t been found since the summer (and we found it on the ground) – I had done my homework so we knew what to do with the combination lock! The second was a straightforward trad which we were quite glad to have found, since we weren’t having a lot of luck in the rain. We also did a reconnoitre of a tricky D4/T4.5 hide nearby, but despite having a little go at it, we decided we were under-prepared and the deluge of rain made us decide it would be better to leave it for another day. So, a modest two finds today for January’s “all systems go” push. Frustrating! Day #149 – Stumped No More! I solved Fenners 1984′s cricket-themed puzzle Stumped On A Sticky Wicket a while ago and thought I should revisit his hide today, since the CO had been kind enough to check it was still there after my recent DNF. Sure enough, I put my hand straight on it today – how come I missed it last time? Must be sheer incompetence! Argh! 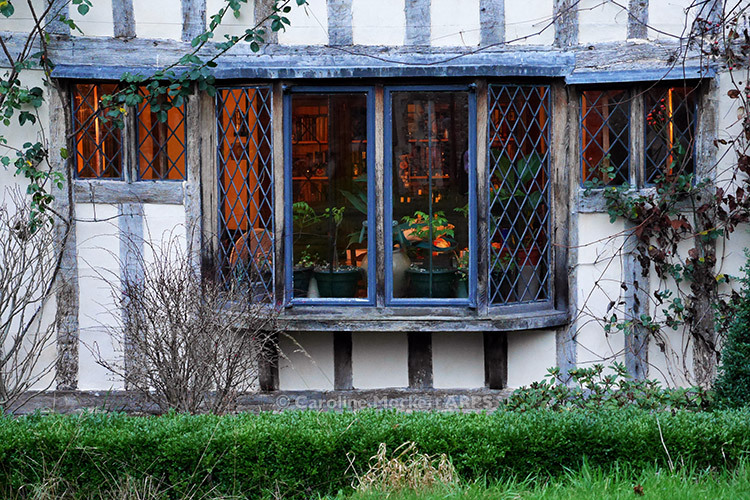 I spent a little time wandering around Great Waltham afterwards, to make some pictures. The day started badly with a string of 3 DNF’s! I was beginning to think I should have stayed in bed. But then success at a solved puzzle by tam9433 buoyed my spirits. 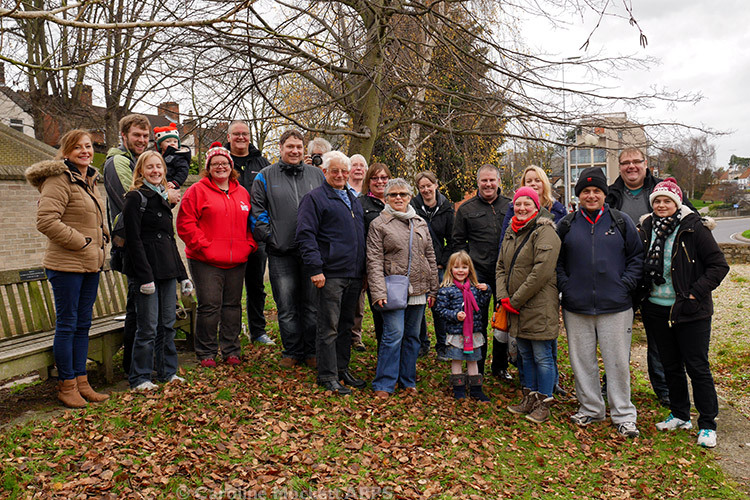 Next up was the last of BEASTMARSTA‘s monthly Flash Mobs for 2015, outside the Police HQ (and at the site of Britain’s Oldest Church, now a ruin). The coppers didn’t move us on and we chatted for half an hour before dispersing without arrests! Before the meetup I had attempted one of my must-do targets for the day, Mr Murrkin‘s Olympian Challenge which I qualified for after reaching 100 days in my ongoing geostreak. Muggle kids were at GZ and I couldn’t even search furtively, so I returned once the social do was over and it was then a quick find. I’d been chatting to gillywig‘s Grahame at the event about one of his puzzles, Rail Network, which I had DNF’d that morning. He kindly offered to return with me to see if it was AWOL – needless to say it wasn’t, I was just rubbish before! I also revisited another of the morning’s DNF’s (and another of tam9433‘s puzzles) which I’d had a bit more info on from the meetup. I decided to round the day off with a visit to a BEASTMARSTA puzzle, BeastNav which involved half an hour’s armchair google driving last night to work out! 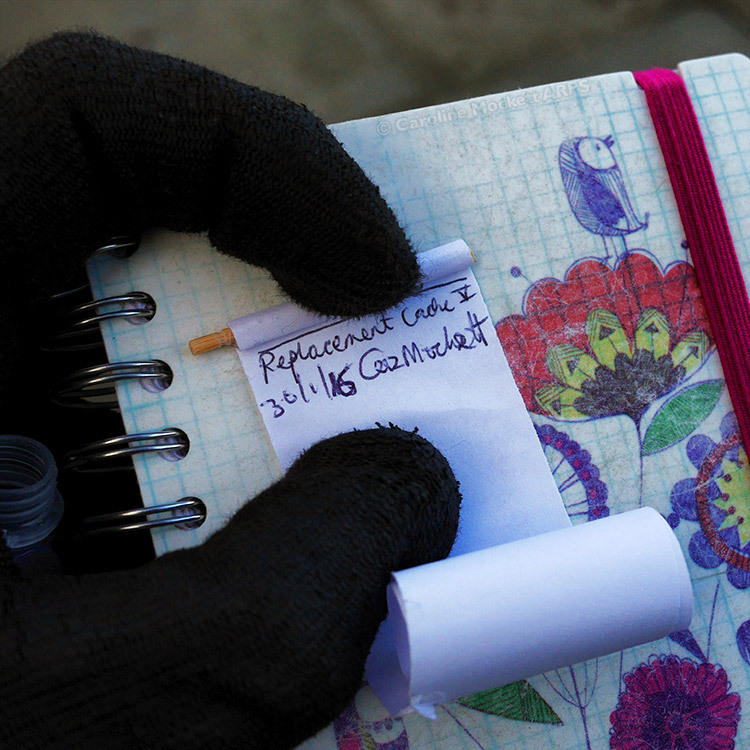 The one disappointment of the day was TWO visits to the BINGO Challenge cache in Copford, which appears to be missing. A pity, as it would also have filled up the 5/2.5 hole in my DT grid. Oh well, another day, perhaps. 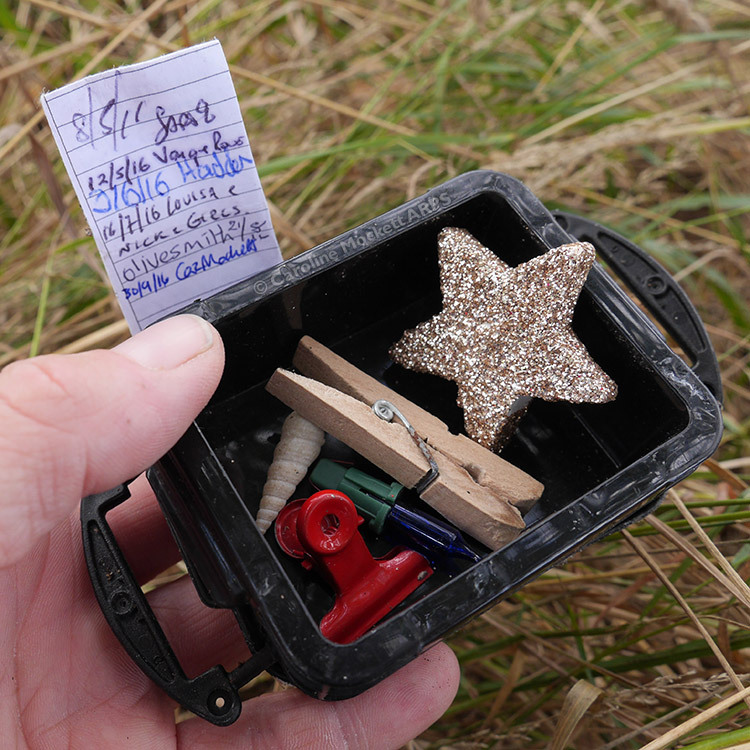 Today I finished my 10-day non-traditional caches mini streak, which now qualifies me for the Unconventional Streak Challenge Cache near Shoreham in Kent. That’s the last of the set of five which I needed to qualify for, so sometime soon I will go and pick them up on a challenge day in Kent. 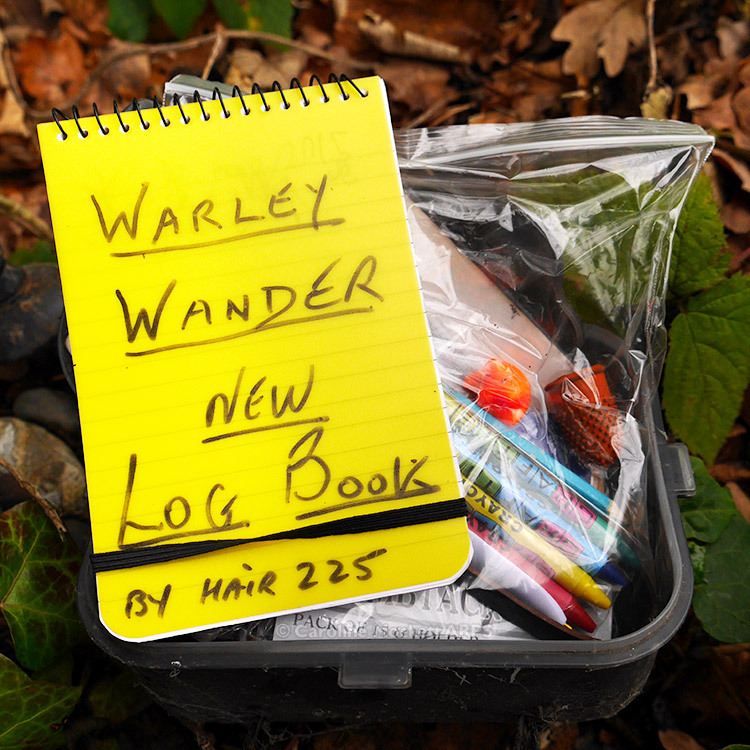 My target for the day was Warley Wander by hair225, a nice little puzzle cache south of Brentwood. I was also pleased to effect a revival here, as it’s not been found since September 2014.